One of the UK's leading universities has announced plans to appoint 30 highly prestigious Chancellor’s Fellowships in Data-Driven Innovation. The broad sectoral scope of the Fellowships within a data innovation theme is believed to be a first for a UK university. 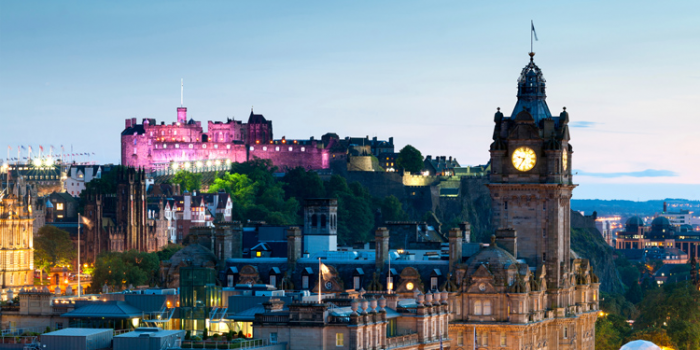 The appointments are part of the University's commitment to the Edinburgh and South East Scotland City Region Deal’s Data-Driven Innovation (DDI) Programme, a partnership with Heriot-Watt University. Candidates will already have established a reputation for the high quality of their data-driven research and innovation and will have a commitment to developing their skills in on-line teaching at scale at a University level. Colleagues with translational-industrial, public and third sector linkages, international academics and those interested in interdisciplinary collaboration are particularly welcomed. Chancellor’s Fellows will initially concentrate on world class research and innovation working closely with the private, public and third sector in a data-enabled theme, with a focus on delivering high impact results. The University will provide a generous start-up package and training in contemporary on-line and blended education and industry engagement skills. Colleagues will be expected to progressively take up more of these core academic activities over time. It is anticipated that following a successful review the majority of Chancellor’s Fellows will transition to an open-ended post at an appropriate grade. The 15-year DDI Programme aims to establish the region as the data capital of Europe, attracting investment, fuelling entrepreneurship, and contributing to inclusive growth. Announced in 2017, the Edinburgh and South East Scotland City Region Deal is a £1.1bn ($1.5bn) investment from the UK and Scottish governments, local authorities, and universities and colleges. Relocation support and immigration fee assistance is available for colleagues who need to move to take up the Fellowship. This includes practical support for a spouse or partner. For more information about the assistance available, visit the website Relocation Support. For more information about the Chancellor’s Fellowships and the opportunities available, visit the website Chancellor's Fellowships Opportunities.